HI. 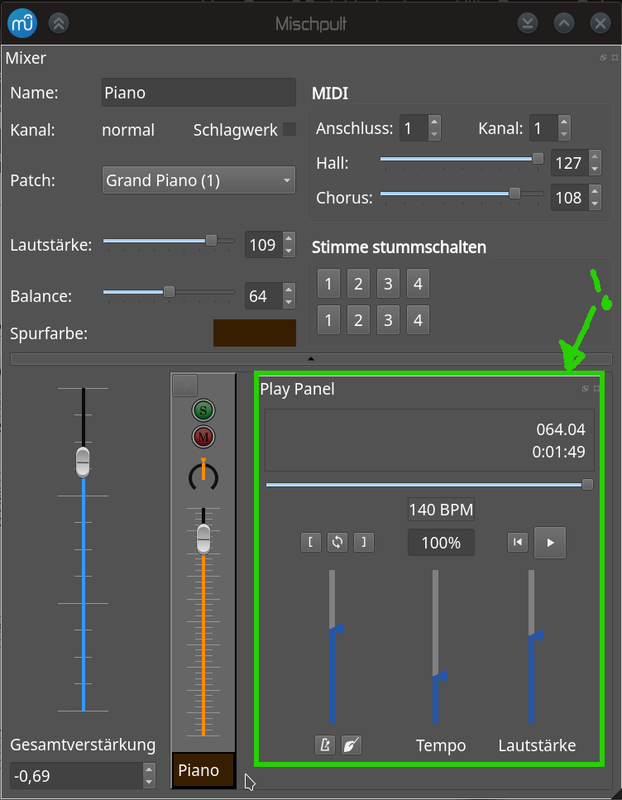 Have you thought combinig the mixer and player panel? You have only one instrument! Were there four or five or fifteen, this wouldn't look so good.